I love giving my students opportunities to build words. It is important for them to recognize letters and that we use letters to build a whole word. This Apple Word Building activity is perfect to help students with building words. 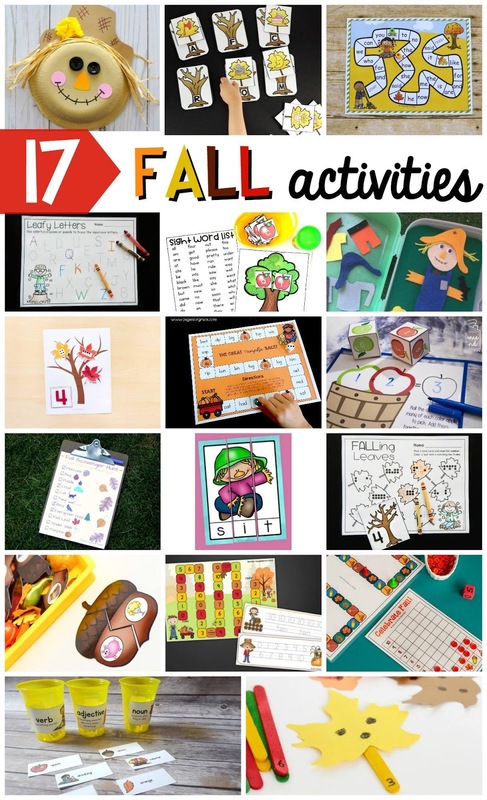 It's a fun Fall activity for young students. 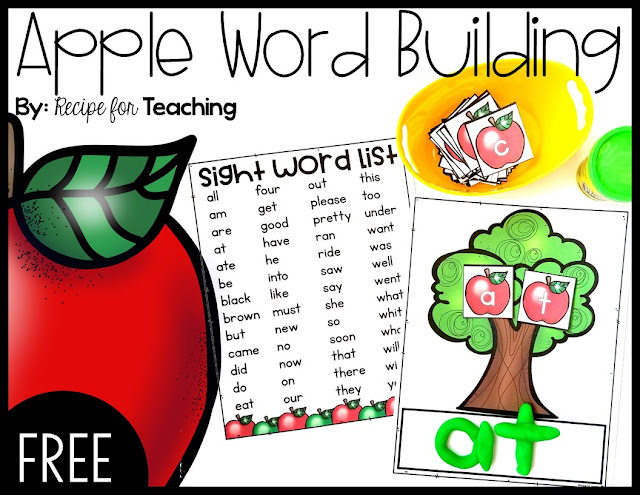 The download (found below) includes a sight word list (the kindergarten Dolch sight word list), uppercase and lowercase apple alphabet letter cards, and two versions of an apple tree word building mat. To prepare this activity, I printed all of these things. I would recommend running the materials through a laminator for durability. To cut the alphabet cards I just used my paper cutter. For one of the word building mats your students can use a dry erase marker to write the word and for another word building mat your students could use Play-Doh or letter magnets. This activity can be very open-ended for students or you can have it more directed for the words you want your students to focus on. Both uppercase and lowercase apple alphabet cards are included in the download so that students could practice building their name or their friends' names. I love having my students do activities with their names at the beginning of the year. It helps them to identify their name and the names of their classmates. There is also a sight word list in the download that students can use to spell sight words so students could use that list to spell words. Using Play-Doh is a fun way to practice fine motor skills and practice words that students need to read. This Apple Word Building activity could be used with small reading groups. It would also be a great literacy center activity for your students. Ready for some Apple Word Building fun?! Just click the image below to grab your FREE download! Also, be sure to check out these Fall themed resources from some of my blogging friends!